The Road to Balcombe Street: The IRA Reign of Terror in London is the highly detailed account and analysis of law enforcement negotiation lessons learned from the infamous hostage standoff between the London Metropolitan Police (the Met) and four members of the Provisional Irish Republican Army (IRA) in the winter of 1975. With eye-witness and first-hand testimony, this book examines the events leading up to the clash and their political context as well as how both sides handled the hostage situation and the strategies and tactics used by the police to safely diffuse the volatile situation. Comprehensive and readable, The Road to Balcombe Street: The IRA Reign of Terror in London looks at not only the six days making up the standoff but places the confrontation in unique historical context by giving a detailed summary of IRA activity in London in the years leading up to the siege. In addition, this vital study explores the aftershocks arising from the apprehension of the IRA team as well as the hostage negotiation lessons learned in the conflict. This useful resource also features a thorough bibliography and list of electronic resources. 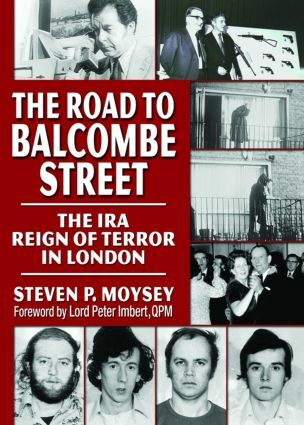 The Road to Balcombe Street: The IRA Reign of Terror in London is a useful resource for practicing law enforcement negotiating teams and professionals; history, sociology, and social psychology students and educators; and general readers as well.